Sharjah Media City (Shams), a world-class free zone hub for innovation, has signed an agreement with leading property consultancy Cluttons, to conduct market feasibility and analysis studies on relevant real estate products and options for Shams. The company is also assigned to develop innovative, high quality real estate solutions, reported state news agency Wam. Shams, which was established in February this year, offers a new dimension to Sharjah’s already diverse offering in terms of media, knowledge, thought, culture and investment. As a global centre for innovation, Shams is transcending the concept of a conventional free zone to represent a more comprehensive and more sustainable city, stated the report, citing a top official. "We are delighted to welcome our strategic partner, Cluttons, who boasts a wealth of experience in real estate investments. We are confident that the company’s knowledge, advice and expertise regarding mega multi-purpose projects will prove invaluable to Shams," remarked Dr Khalid Omar Al Midfa, the chairman of Sharjah Media City. "As an emirate that embodies investment, media, culture and knowledge, we realised the need to establish a city specifically focused on attracting entrepreneurs and media professionals," remarked Al Midfa. 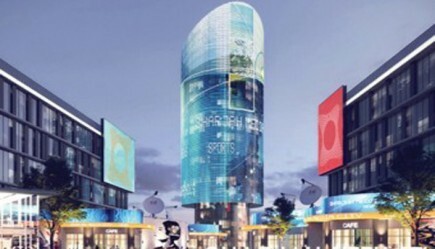 "As such, Shams serves as an integrated city where the diverse needs of those working in the media and investment fields and their families are sufficiently met, while also creating a conducive investment environment, the hallmarks of which are excellence, creativity and innovation," he added. Steven Morgan, a senior partner at Cluttons, said: "We are honoured to collaborate with Sharjah Media City, which represents a unique model for a modern media and investment zone, and are keen to consult on and provide a wide spectrum of integrated accommodation, commercial and real estate services in Sharjah."